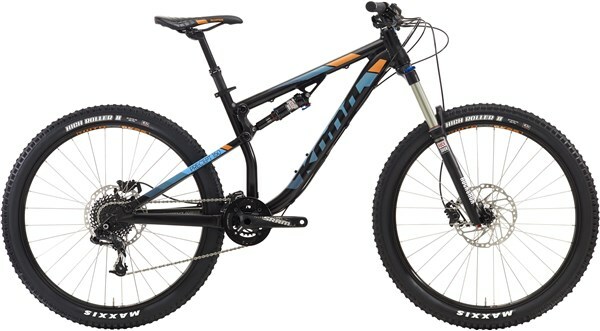 Brand new for 2016, the Kona Precept 150 is an entry level full sus mountain bike that appeals to first time trail riders. Experienced off-roaders wanting a capable full sus on a budget will enjoy a bang up to date geometry for confident riding on technical terrain. Heavy trail abuse, without hurting your wallet. 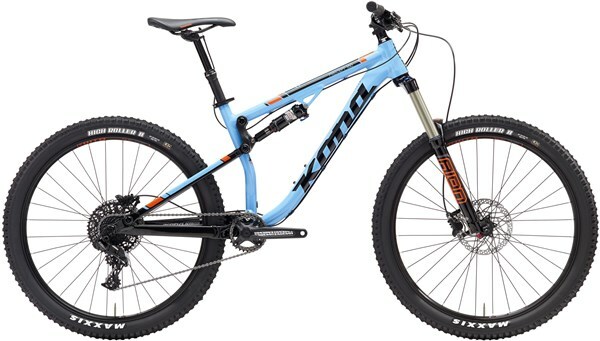 You can buy the Kona Precept 150 through a 0% Tredz Finance package. New for 2016 is a 6061 butted aluminium frame for fluid trail riding and singletrack shredding. Trail friendly geometry has been improved for the new season with a slack head angle, long front centre and short stem, a trail bike sweet spot. 150mm front and rear travel make the Precept 150 capable of taking on technically demanding trails with confidence. The RockShox Sektor fork is a reliable performer over rough terrain while a Monarch RL shock features two compression settings to make climbing easier without impacted downhill performance. The SRAM 2X10 speed drivetrain gives you reliable shifting and a wide range so you can find the right gear wherever you ride. Powerful Shimano disc brakes provide confident stopping power in all weather conditions. A KS dropper post allows you to adjust your saddle height on the fly so you don’t need to stop before hitting a technical section. WTB rims wrapped in Maxxis Ardent keep you planted on the trails.